Every morning at 4am, while the rest of the world is still asleep, I head out for my morning walk. And while that might sound like torture to many people, it’s actually my favorite part of the whole day, the time where the whole world is just mine. It’s my time to think and dream and listen to audiobooks and make sense of the world, to get purpose and clarity on who I am and where I am going. And I wouldn’t give it up for anything. Lately I’ve been doing a lot of thinking about goals and motivation and why some people are able to achieve the things they want, and others seem to just sit there making excuses, worrying about all the things that could go wrong, or waiting for circumstances to be perfect. When I first started this blog, Living Well Spending Less®, I set a goal for myself to make enough money blogging that my husband—an aerospace engineer—could quit his job and become a stay-at-home dad. At the time, it was a completely crazy goal that seemed utterly impossible, and my husband told me as much, insisting that I would never be able to make money from a blog. But I wanted it so bad, I could almost taste it, and I was determined to do whatever it took to make that crazy dream a reality. And so, with two toddlers at home, I started getting up at 3am every morning—and often even earlier—in order to work on my blog before anyone else was up. I took advantage of every naptime, every weekend, and every spare moment. And when I wasn’t working on the blog itself, I was learning everything I could about the business of blogging, from SEO to social media to how to actually generate revenue. I’m not going to lie, it was a pretty exhausting time. There were lots of downsides. My husband couldn’t understand why on earth I was spending all my time on a blog that he was sure would never amount to anything. My real life friends laughed at me to my face and talked about me behind my back. My kids watched way too much Dora the Explorer and Wildcrats. I didn’t get nearly enough sleep. I had almost no life. And even though it was hard, to me the effort was worth every sacrifice, because I could see the vision of what this blog could be, even if no one else could at the time. In 2013, nearly three years after starting this blog, that dream became a reality. My husband was able to quit his job and we’ve never looked back. The blog—and the full-fledged business that has grown out of it—has continued to grow and flourish. You see, once I actually achieved that crazy big goal, the one everyone–even me–thought was totally impossible, I was left with two very clear choices. I could sit back and coast, or I could set some NEW crazy big goals, new dreams that would keep me hungry and keep me jumping out of bed before dawn every day. You probably know which one I chose. 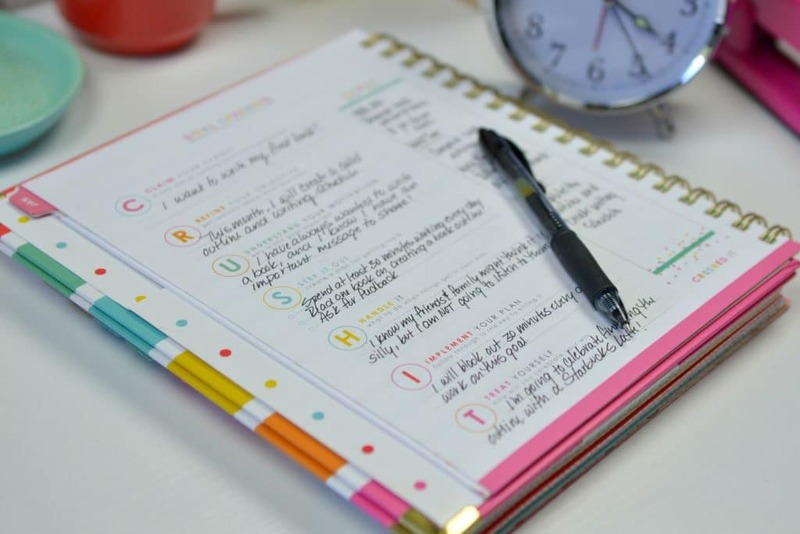 Whether you are a blogger or own your own business, or whether you are a working mom or a stay-at-home mom, you might think setting small, reasonable goals is the way to go. After all, small reasonable goals seem safe and, well, reasonable, right? I am here to tell you that thinking small won’t get you anywhere. For your dreams to motivate you to action, they have to big enough to scare you a little, to ignite that spark of courage and determination that lives inside you. Have you ever heard of a football coach named Lou Holtz? In 1966, when he was twenty-eight years old, Lou Holtz was going through a serious rough patch. His coaching career going nowhere. He was broke and unemployed. And, to make matters even worse, his wife was expecting their third child. Hoping to motivate him, his wife bought him a book called The Magic of Thinking Big by David Schwartz. The book worked. Inspired by what he read, Holtz decided that the key to changing his life was make a list of all the BIG things he really wanted to achieve in life. His list included some pretty audacious goals, such as becoming the Notre Dame football coach, meeting the president, landing on an aircraft carrier, and appearing on The Tonight Show—CRAZY things that most people would have laughed at him for even considering. But guess what? Not only did Lou Holtz become the head football coach at Notre Dame, but he also led his team to a National Championship. Among other things, he enjoyed dinner with Ronald Regan at the White House, was a guest on The Tonight Show, met the pope, shot not one but two holes-in-one at golf, jumped out of an airplane, went on a safari in Africa, and yes, he even landed on an aircraft carrier. To date, Lou Holtz has crossed off 102 of his 107 lifetime goals. But what people often forget is that as awe-inspiring as Lou Holtz turned out to be, he didn’t start out that way. He was just an ordinary guy full of the same frustrations and failures and self-doubt that we ALL experience sometimes. In fact, at one point his poor pregnant wife was wringing her hands just wondering how to get him off the couch! But ultimately the difference between Lou Holtz and so many others was that he became not only willing to imagine a better life for himself in the biggest possible ways, he was also willing to write those goals down and make them real. Once he they were real to him, he was able to take the steps necessary to make those goals happen. 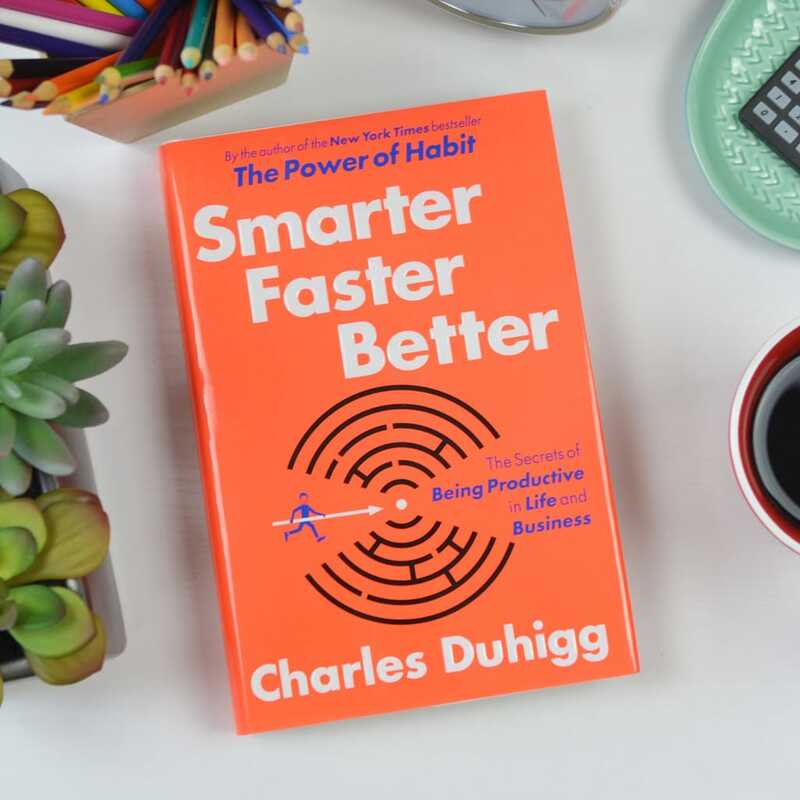 In his most recent book, “Smarter, Faster, Better,” bestselling author Charles Duhigg explains that while we often hear about the importance of setting “SMART” goals—goals that are Specific, Measurable, Actionable, Realistic, and Time-Bound,” there is an even more critical piece of effective goal-setting-that often gets forgotten. So what is this critical element? He goes on to explain that without a BIG goal to reach for and tell us what to focus on, we will spend hours on unimportant tasks simply because it feels good to check them off our list. But here’s the thing–the true secret of productivity is being able to focus 100% of your attention on your biggest, most important tasks at any given time. And while that sounds so simple, I’ve discovered that for most of us, it’s not. There are a few big obstacles that get in our way. We don’t know what the most important task is. We are too distracted. We are afraid we might miss something. But all these obstacles point to one larger problem, and that is that we don’t have a BIG plan for success. Instead of thinking BIG and allowing ourselves to consider—and shoot for—the wildest possibilities, we think small, allowing ourselves to get mired down in the day-to-day grind. 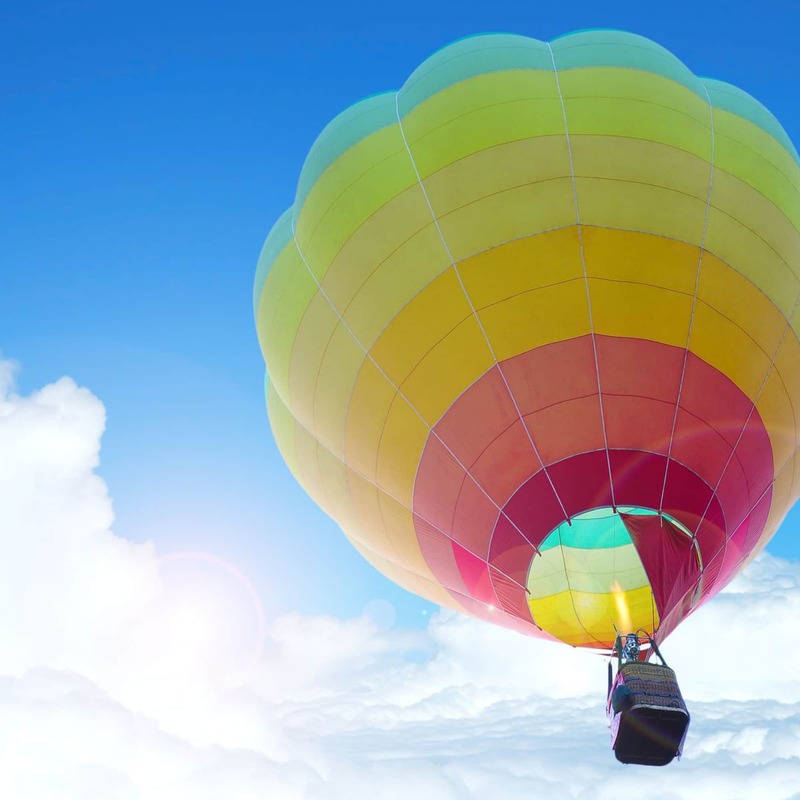 We tell ourselves there is too much to do to worry about pie-in-the-sky ideals; that it is more important to worry about where our next paycheck is going to come from than what our retirement plan will be. But busy is not the same as productive. And so before we can figure out how to focus 100% of our attention on our biggest, most important tasks, we need to give ourselves permission to think BIG. The reality is that big goals get big results, while small goals get small results. 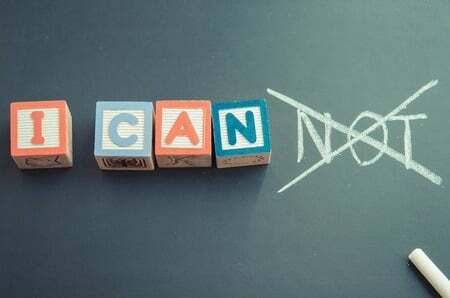 What you will become is what you believe you can become, and the bigger and scarier your goal, the more chance you will have for big success. Big goals are the road map for our lives that tell us what direction we need to go. They are the compass that keep us on the right path. They are the filter that lets us know what is important and what is not worth our time. Big goals are the key to success. So what holds us back from setting—and therefore achieving—these big goals? Almost always, it is something known as a limiting belief—a thought or belief we have about ourselves that holds us back from achieving our full potential. 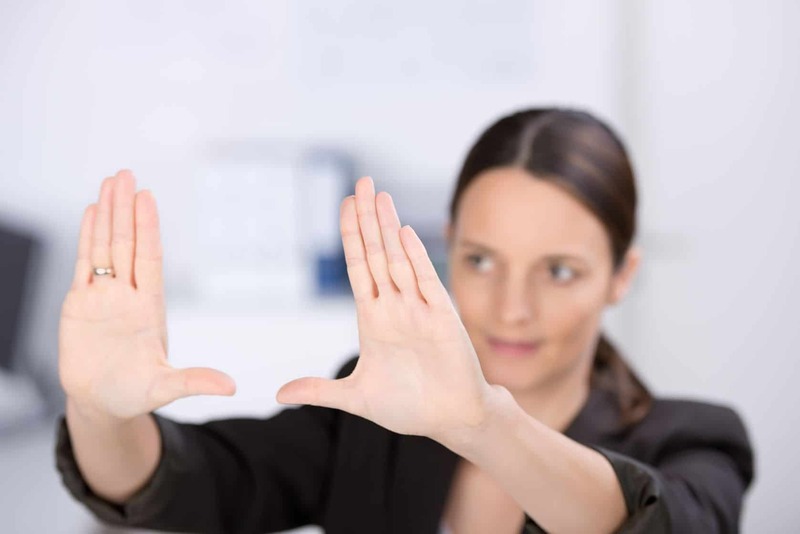 These limiting beliefs can come in all shapes and sizes, and appear in all different areas of our lives. They are also shape shifters—re-emerging in a new way each time we think we’ve overcome one. Most of us have many limiting beliefs, but I believe that all of us have at least a few. It might be that we don’t believe that we actually have anything valuable to offer the world, or that we aren’t as talented or witty or well-spoken as so-and-so. It might be that we don’t believe we can actually accomplish those things that we’ve thought about doing, or that we’re not smart enough to be successful. It might be that we don’t want to invest in ourselves because we might fail. It might be that we don’t want to reach out and ask for help because we might get rejected. It might be that we don’t want to put 100 percent of our energy and efforts into a new project because we’re not sure what the people around us will say. What if they don’t understand? What if they make fun of us? Whatever your limiting beliefs may be, I guarantee they are there. And while we can’t always stop those limiting beliefs from popping up, we CAN refuse to listen to them. Because once we’ve recognized a limiting belief for what it is—just a thought that is holding us back—we can take away the power it has over us and move past it. I think that the biggest limiting belief that most people have is the fear that they might fail. Because let’s face it—none of us want to fail! And often that fear that we might make a mistake or a misstep, that we might fall flat on our face or lose all the time or money that we’ve invested becomes completely paralyzing. And our response to that fear is to pull in, to get smaller, to try to mitigate the potential risk by not doing too much in any one area. We dabble a little here and a little there, ever dipping our toes into the water, never wanting to go all in. The results from this strategy range from minimal to moderate success. There is no big failure, but there is also no big success. Here’s the thing—it is really easy to look at the most successful people and assume that they have always been successful, or that everything they touch turns to gold, or even that they were just born lucky and happened to be in the right place at the right time. But in reality, this is very rarely the case. Even the most successful people have experienced—and continue to experience—failure. That is the nature of entrepreneurship—some risks will pan out and others won’t. They key is usually to learn from your missteps and to not let a few setbacks stand in your way. Likewise, Thomas Edison had to try 10,000 versions of the light bulb before he finally figured out what would work. Steve Jobs was actually fired by the board at Apple at one point. He later said that it was the best thing that ever happened to him, because it spurred more creativity and more ideas than he had ever had before. Most people don’t know that Henry Ford actually founded two failed motor companies before finding huge success with the Ford Motor company and the Model T.
Bill Gates’ first startup company, Traf-O-Data, was an abject failure. The product barely even worked & the endeavor was a complete disaster. However, that failure taught him some very valuable lessons that he was able to apply when he started his new company, Microsoft, a few years later. While failure isn’t fun to think about, I don’t want that fear of failing to be what holds you back from thinking big. The reality is that you will make mistakes. Everyone does. Think big anyway. In my own life, I have certainly experienced my share of failures, mistakes, bombs, and missteps. My first marriage ended in divorce. I dropped out of law school. I got fired. I filed for bankruptcy. I trusted someone I shouldn’t have, only to have the situation blow up in my face. Even in my business, I have hired the wrong people, made giant mistakes, and invested in projects that have been nothing but big money losers. But I’ve also learned that this is just part of life. If I spend my time beating myself for the mistakes I make, I won’t have any time to focus on the things that are going well. 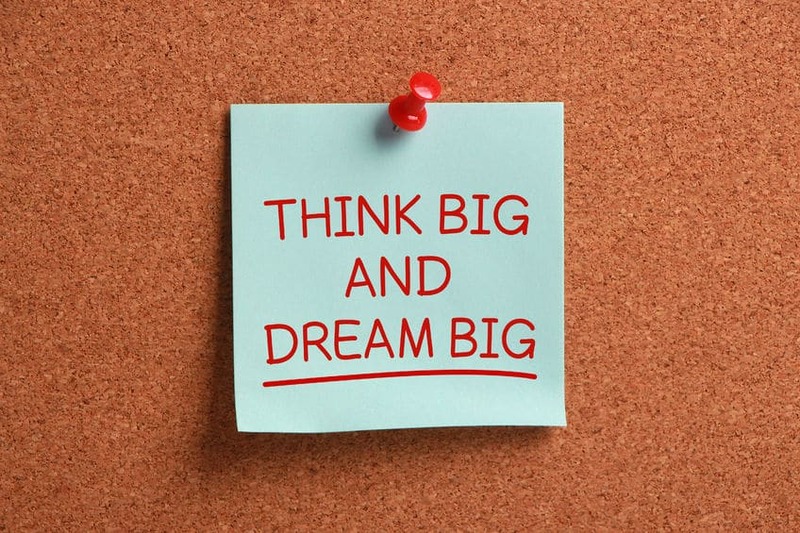 Being successful in life is all about learning to think BIG in order to maximize your success. 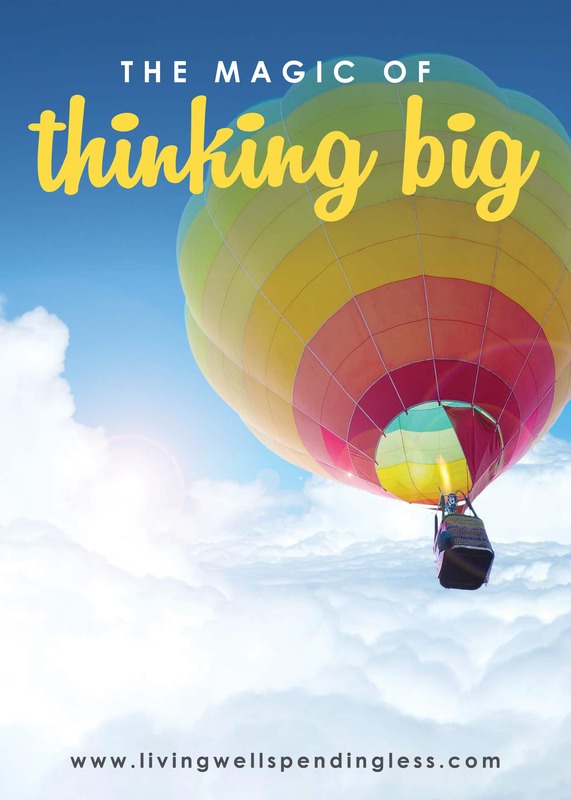 When setting your big goals, don’t be afraid to start with a grand vision—a life list, similar to the one that Lou Holtz came up with after reading The Magic of Thinking Big. To help you focus, try dividing it into different categories—family, financial, professional, and personal. As you let yourself dream about the future in these different areas, be conscious of the limiting beliefs that begin creeping in to your thoughts. Recognize them for what they are—limiting beliefs—and allow yourself to write down even the craziest, most audacious goals and dreams without judgment or self-editing. Don’t worry either about setting time limits or making them perfect—just write whatever comes to mind. In other words? Think BIG. And so, my question for you today is this: how bad do you want it? Are you reaching for a dream so big it scares you? And if not, why not? Push yourself to make it bigger until you feel that spark, that hunger, and then you will know you’re on the right track. I really like this! This is SO helpful because it deals with life every day. I look at my own set of “goals” and sometimes see nothing other than some short-term busywork that I’ve noted down for the week. It is so important to START with the big vision and break it down into do-able daily chunks. I also think that failing is big on all of our lists. One time something doesn’t go as planned and we think “that’s it, I’m done!” But that’s not it, you just need to go look at that venture again and repurpose it into the success you know it can be. People, on the other hand, not so much. But, life is a learning tool, isn’t it, and I do believe people are some of our biggest lessons. It’s Monday and I’m excited about the goals I have set for my week. Hope you are too Ruth! This was such a great post, I really love it! Limiting beliefs and fear of failure often stopped me from “thinking big” But I have learned that I don’t grow through my successes, I grow through my failures. I won’t regret failing nearly as much as I will regret not trying. I also focus on Psalm 127:1-2 when it comes to my goals, it takes the pressure off :). Thanks for the encouragement, I will be thinking big this week! Fantastic – so my first question is when did you sleep in those early days?? Anyways I read those books years ago – recommendations from my husband and you know what – it’s time to read them again!! Think I will go audio this time. I agree my goals are not big enough. I focus to much on staying in the comfort zone and it’s time to stop that. Thank you this post was perfect timing!! Sleep was very fleeting back then but I’m much better about getting a solid 7 hours now a days! This is why I’m committed to being an abundance thinker, and why I encourage all my readers to think that way, too. You’re only limited by your own beliefs. I love this post! I fully believe in the magic of thinking big and I try my best to encourage those around me and my readers to do the same. It is possible to live the life of your dreams when you put action behind the goals you set in place. Great post Ruth! This inspired me so much! I’ve been taught smart goal planning all of my life. This was just the fire I needed today! Thank you!! Thank you so much Ruth! What a fantastic blog!! It really spoke to me. I too need some bigger goals that I believe in. I am frozen trying to get my blog going. I am coming off a big failure at some online selling and I need to get going with my blog. It just feels so overwhelming. I will get those book suggestions for sure! So thankful for what you shared with us!! I especially love the part about focussing on our spouse too! My “big stretch” goal is to be able to quit my full time job to become a full-time blogger and eventually make enough so my boyfriend can quit his job and join us. Considering that my blog is currently making nothing, this is a pretty big goal. But, as you’ve stated and it’s so true, it gives me something to work for that i’m hungry and passionate for. Even if it’s a really ambitious goal, I’m happy to have it. I am a member of your course and I have read your book :). I loved both! I can’t wait to read more of your books! 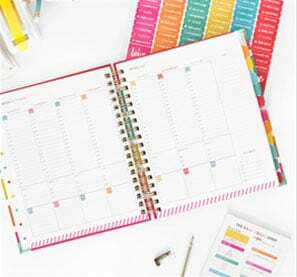 I’m so excited to get my planner and I am already starting my Dream Big, Think Big list. I always think of others before myself and I need to re-prioritize me back into my life and my goals. I persisted and got myself and house out of foreclosure and I am determined to stick to my budget and plans!! Thank you for this inspiring article Ruth! I sat down 2 years ago and set some goals for myself, and made a vision board. I had read something you wrote about goals and you inspired me then….Well I’m happy to say that one of my very important goals has become a reality. Something that seemed nearly impossible at the time is now happening. My Etsy business is thriving and I’m able to bring in some additional income for our growing family of 5, soon to be 6! I thought my goal to have $1000 in sales a month seemed unrealistic, but I am there and over! I dreamed big and worked extremely hard to get here. Now it’s time to THINK BIG again! Thank you for your words of encouragement and I LOVE your blog 🙂 Oh and if you get a chance, come check out my Etsy shop. That is awesome and so inspiring for other small business owners to hear. And the dresses on your Etsy shop are so CUTE!!! Just curious, are you part of our Elite Blog Academy? I really appreciate this post. My problem is not that i don’t have a huge vision. I have a humongous vision but I don’t know how to get there. I’m frustrated!!! I also noticed from your post that you sacrificed in the beginning. I don’t think I’ve done that. I thought I was but now that I read your post I’m not sure I am. You really made me think. I have read and re-read this post. My husband is super supportive but works full time plus–he helps out with kids when he can, my friends have no idea what or why and I’m sure think I spend too much time online–that’s the part of this post that resonates with me. But I have a dream, a bug but timid dream to bring my husband home. Since reading this night, my big, timid dream is now BIG and BOLD! Thank you for sharing! I love the Winston Churchill quote, too! You are making a huge difference in my thinking and attitude. Thank you for sharing yourself and what you have learned! I want to be you when I ” grow upward and onward” now if I can set my mind to what I would like to blog “ABOUT”. Hmmmmm. I also struggle with chronic depression and, for me, being able to get out of bed, or just get started is so hard. Some things that help me are taking my medication, I take St. John’s wort, and other mood support herbs. I also watch my diet, sugar and caffeine increase my depression, so I limit them. Foods that help me feel good are oranges, and lettuce, so I eat more of them. Also getting outside each day, even for a short time helps tremendously. I don’t know if these things will help you too, but maybe you can figure out what helps you. It’s a great story, but we aren’t the same, I don’t have anything in my past to cause depression, I’m not overwhelmed with anything, in fact I’m bored. But I have tried 4 different therapists and 6 different medications, and I could only do that because it was provided by the college that i’m no longer attending and the family insurance that i don’t get anymore since i married. I don’t have money for anything else. It’s been 7 years so far. I know where you are coming from. It’s okay that you have depression. It is a teacher, a painful one, but a teacher nonetheless.Get close to depression like a friend not something to be feared.Why is is there? What is it trying to say? I felt like you did. I blogged to try to feel. I watched t.v and later around. It’s okay. But it sounds to me you are ready for change and that is the first step! Awareness is the first step!! !Build on that and that you have power. Just dare to dream you can be free. Eventually the resistant monkey mind will let go and let knew ideas and thoughts. In it takes time! It’s hard but doable. I believe in you! I have many free tools I can share with you! You are not alone! I just loved the positivity of this post. I too have a dream of making a living out of this blog. I’ve been blogging for almost 8 years now and have not gotten anywhere. It was only last year that I actually began introspecting and finding out what I was doing wrong. Apart from the technical stuff that I didn’t really know, the main problem was not putting myself first. I have to put myself first before I even start taking the first step to dreaming big. Thank you for reminding me about that. I am a list maker, when I make time.to do that. Otherwise I respond to each day according to the most pressing need. That is truly so limiting the potential.of each day. I am eager to Think Big and set goals. The idea of focusing on the four areas is helpful. Family. Finances. Profession. Personal. So, I am going to focus on those areas and set goals for those areas. Today. This was your best writing, thank you for what you said. It hit home. I am a bit behind on my email right now so I am reading Day 1 on 12/31. Better late than never! The magic of thinking BIG is very inspiring but I feel like I have a long way to go right now and it feels uphill. I am 57 years old and am finally at a point when I would like to pursue some big goals. Again, better late than never, I guess! I have some debt that will take a couple of more years to pay off and I feel that it is putting everything on hold because I am concentrating on that. Maybe that is the wrong attitude but it is a goal right now. In the meantime, I will keep dreaming of the things I want to do and I will write them all down and start doing some research and find out what I can do presently that doesn’t require a lot of money or none at all. Thank you very much for the boost and inspiration to keep going. Jennifer, I’m right there with you, age-wise, debt-wise. I also just don’t know what kind of goals to make. My number one goal is to get out of debt, but I just don’t know what else to dream for. That kind of makes me sad. Does it sound dumb to ask, how does one dream, how does one make goals? It seems like everything I think of relates to finances…I feel old and tired and out of ideas. Thank you, Joseph, I was wondering the same thing; am I missing something here? I love love LOVE this! I was just fighting some self-doubt about one of my big goals, and this was a timely read! It was also really enlightening to realize that SMART goals tend to cause you to focus on more of a to-do list, just surviving your life and small successes instead of dreaming big. Thanks so much for the encouragement! This is a great article, and very helpful. I was just left wondering: why, why, why on earth would you want your husband to leave an amazing job as an aerospace engineer to become a house dad? Even more puzzling, how could such as motivation be the proud engine behind your success? I must be missing a very important part of the story. I enjoyed reading this post. 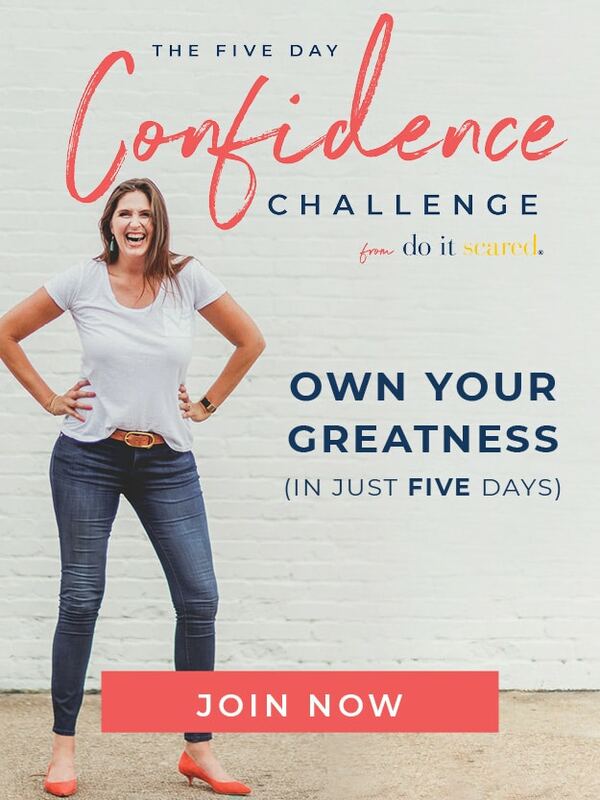 I’m glad I signed up for the Best Week Ever Challenge as I am looking to learn to make this the best year ever! I was very in 2017. I made some moves online such as joining FB and writing more for my blog as well as in my city to help and support others despite my overcoming my level of discomfort of wanting to meet new people. I also made a tough professional move, leaving the school district I taught in for 10 years to one I hadn’t taught in since I was a intern teacher years before. Interviewing was scary! In 2017, I experienced a big failure. I am currently putting a plan to resolve that. This blog post gave me some fuel to flame the fire I need to continue. Michael Jordan, Bill Gates, Henry Ford, Steve Jobs, etc, are all major failures that have succeeded majorly. Your story amazed me as well! Thank you, Ruth! I quit my job last year with the goal of being a stay at home mom. I had been at my job for 29 years and while I enjoyed my job, I really needed a change. I’ve not been the best at financial planning and at this point need to return to the workforce. This post may be what helps me to set goals larger than “I need a job” Part of leaving my old job was to face fears, fear of failure being top of list. Fear of change a fast second. Thank you, I will be thinking about, working on my BIG right along with the everyday. Too often I let those voices that say “this won’t work”, etc. guide my decisions. I know God had BIG plans for me now to really open myself up to them. I like this so much, I’m sharing it with my 14, 16 & 22 yr old children! Hoping to help them dream BIG early in life! I’m not sure how big I can dream at this stage of my life (72 years old) — but my biggest dream would be to pay off my massive debt before I die so that my kids don’t have to. I’m working toward that goal. I love the information and tips on how to beat the fear of failure! Mine is so bad that I have set up a totally subconscious self sabotage that was pointed out to me by a good friend. Every time I’m doing WELL, or getting close to a goal I’ve set, or a dream coming true, I will inevitably do something that derails everything completely. Almost like saying to myself that I’M going to mess it up before someone or something else does. And I’m not sure how to break that cycle. Ideas anyone? Please???? Thinking BIG: I have several. And to Judy, I would like to say, If we’re never too old to dream, we’re never too old to Think BIG! I am 75, and my husband passed a year ago one week shy of Christmas. The thing that would hold me back is whether or not I have enough time left to see my dreams come to fruition. But does that mean that I am not going to try, NO, absolutely not. And if I fail, it won’t be the first time. But for now, I want to ENVISION SUCCESS. I want to live comfortably, independently and financially free. I want to conquer my fear of flying and traveling alone so that I can travel unhindered to see my son who lives halfway across the country. I want to eliminate any debt hanging over my head, and eliminate the clutter surrounding my life — physically, mentally and emotionally. I want to keep my promise to my son(s) of their secret Belated Christmas gift (a memoir of their father’s life written by me). Not Belated because of procrastination, but in desiring to give them something of lasting value, the thought came to me just a couple of days prior to Christmas. So, there I’ve said it, now time permitting, I am going to work towards those ends. And probably think of other BIGs along the way. Thank you so much for this post. It is a reminder to look up and see where we can get our help! And to give wings to the dreams and desires and even great longings that God has built into us. Since Harvey we have had to live in a house and build it with chaos seemingly daily. We are longing to move back to be closer to grands and buy a house that doesn’t just fit us but would also provide a home and a room for fostering a young one that also cries out for someone to call their own family. That’s my big dream. Amen. This is an awesome post! I too have failed at business and had to go back to work but that is okay. I am digging out from debt but dreaming big. I have big dreams but not sure how to reach them. I have read everything but can’t seem to find the step by step instructions on how to reach my goals. I am also struggling on what business to start. My last business was selling private label products and I loved it but made a few huge mistakes that caused some financial issues I am digging out of now. Do I go back to that business or start something different, that is what I am struggling with…where to go from here.